Winner of the 2013 Workers Unite International Film Festival in the feature documentary category, this 52-minute documentary is currently distributed by Third World Newsreel. The film looks at men and women of color in the U.S. Merchant Marine from 1938-1975. Through chronicling the lives of these men and women who, with a median age of 82, are beset with a host of life-threatening illnesses, the movie tells how they navigated issues of racism, disparities in the workplace, gender and familial relations. The movie shows the physical and emotional strain of not having health benefits that were promised at the time of enlistment. 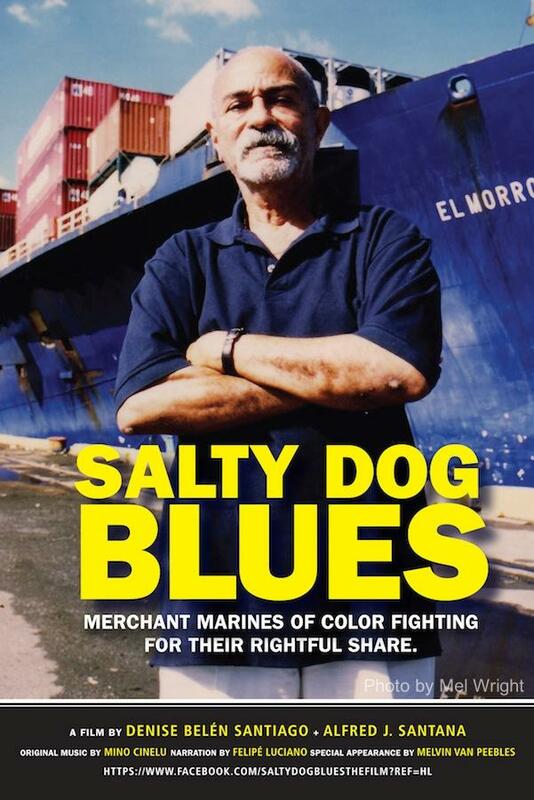 It is an intimate look at the potentially devastating consequences of stagnant pension plans, the eradication of medical benefits, and how the elder mariners are organizing to fight back against these injustices. Screening at Scribe Media Center, Philadelphia. Retired merchant seaman/woman in Puerto Rico 2007.